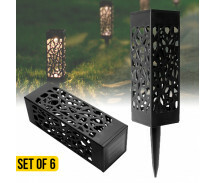 Tired of spending your parties swatting flies and moths away instead of catching up with friends? 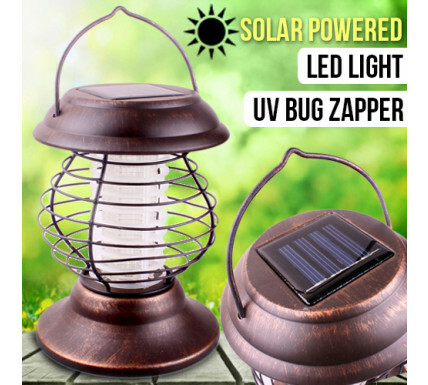 Well this stylish solar powered Lantern will Zap Bugs or provide a retro looking light source, you can decide and it's just as easy as flicking a switch. Because this lantern is solar powered, it means it's also weather proof. 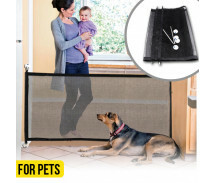 So you can leave it outside all year round and not have to worry about bringing it in after each use. You also won't have to worry about wires and cords, because it collects and stores the power in the lantern itself for up to 8 hours on a full charge. Unlike some units, this one comes fully assembled right out of the box, and even includes the batteries!